Yesterday we began a series on online travel agency CEOs, and a recent interview conducted by USA TODAY’s Veronica Gould Stoddart and Roger Yu. We analyzed a bit, some key decision makers’ mindset on the question of whether consumers want (will get) richer content from these industry giants during their travel searches. 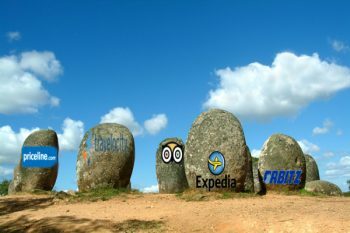 Expedia, Orbitz, TripAdvisor, parent Expedia, Travelocity, and Priceline bosses all had their views there. TUI Travel accepts CFO resignation amid almost scandalous restating of financials. CEO Peter Long and CFO Paul Bowtell talk, after which Bowtell announces his resignation. A restated financial report reveals a fairly vast accounting error – stocks decline on the news.